Last year we installed one Cinder Block Raised Garden Bed. We hoped to do three but our bodies and budget gave out at one. Great news! We built the other two raised beds this year! Yay! There’s nothing quite like growing your own food and I’m anxious to get going again this year! After planting a tad too early last year, we are exercising our patience and waiting for Mother Earth News to tell us when to plant. It’s really quite slick! 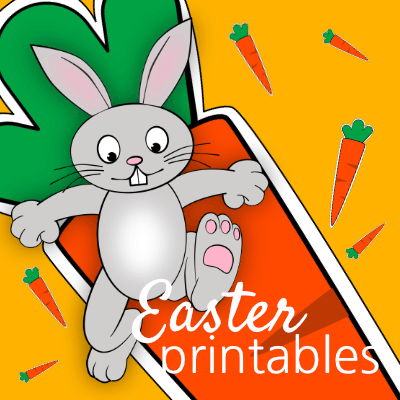 Just head over to What to Plant Now, click on >view planting dates, enter your zip code and email address, and it will send you a handy dandy email when it’s time to plant! Pretty cool, huh? This post contains affiliate links. When you purchase through an affiliate link, we receive a small commission at no additional cost to you. Disclosure. Here’s the area we are working on. 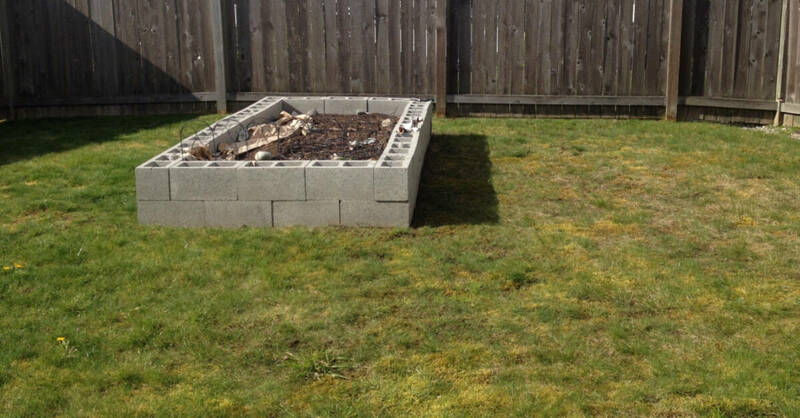 One lonely Cinder Block Raised Garden Bed and a whole bunch of moss with a splattering of grass. First, we laid out the cinder blocks where we wanted them. 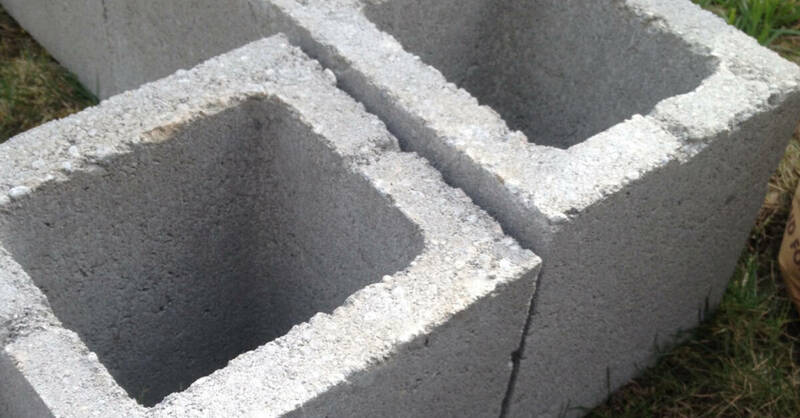 These cinder blocks are 8″X8″X16″ from Home Depot. 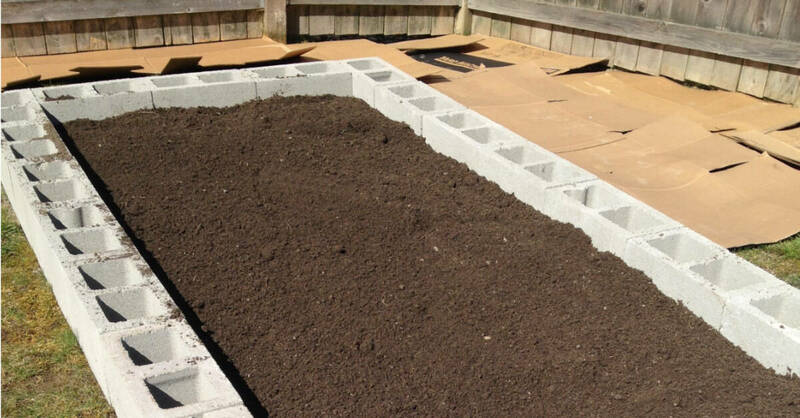 The long sides of the garden bed have eight cinder blocks and the ends have three for a total of 22 cinder blocks per raised bed. We plan to eventually add a second row of cinder blocks to match the center raised garden bed. It isn’t necessary but would make it easier on our backs. Perhaps next year! Of course, the ground isn’t even so we either dug a little of the grass out underneath or used a bit of sand to make the cinder blocks line up. It really wasn’t too bad. Next, we used painter’s paper from the paint section at Home Depot in the bottom of our beds. Newspaper or cardboard work great too! Then, a half yard of a compost/topsoil mix was used to fill both beds. They aren’t completely full but it works! Wondering what all that cardboard is about? I knew you were! 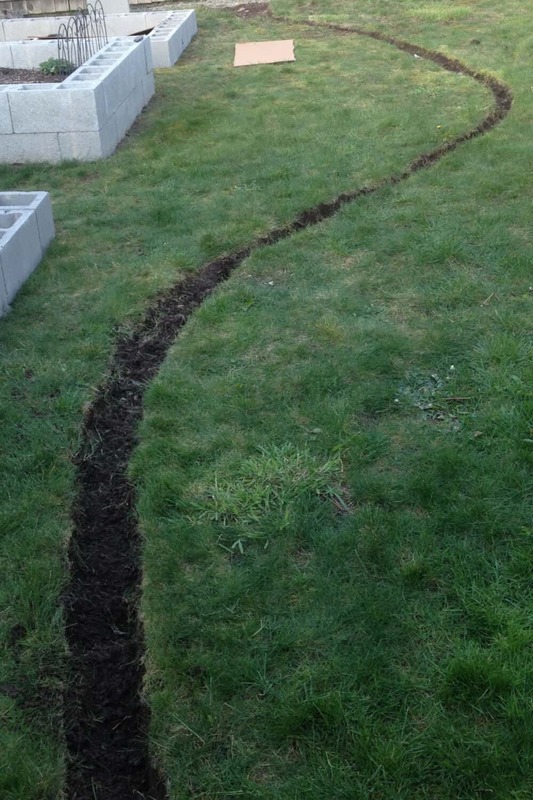 Our original plan was to rent a sod cutter and remove the moss and grass, bring in a load of sand, and lay flagstone around our cinder block raised garden beds. We decided our budget would like us better if we used pea gravel and, hey, why not just lay cardboard over the grass and dump the pea gravel right on top? It was an easier and less costly option. Blake dug out a trench for edging. We used the black plastic edging but, I have to say, I’m not too impressed. Someday we will have that cool concrete edging! And voila! We are ready to plant! Now the question is … what do I plant where? Check out these plant companions for ten common vegetables. It’s a great resource for plant friends and foes. Every morning I open our blinds to this fun view. 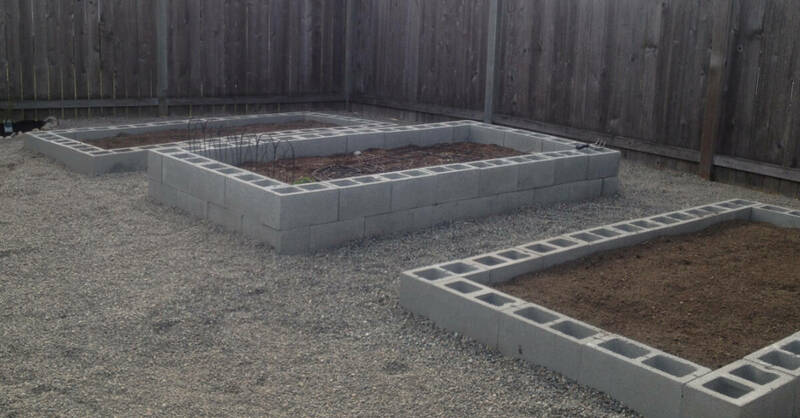 It will be even better when these Cinder Block Raised Garden Beds are full of scrumptious veggies! Do you see marigolds in the picture above? They aren’t there just to look pretty! 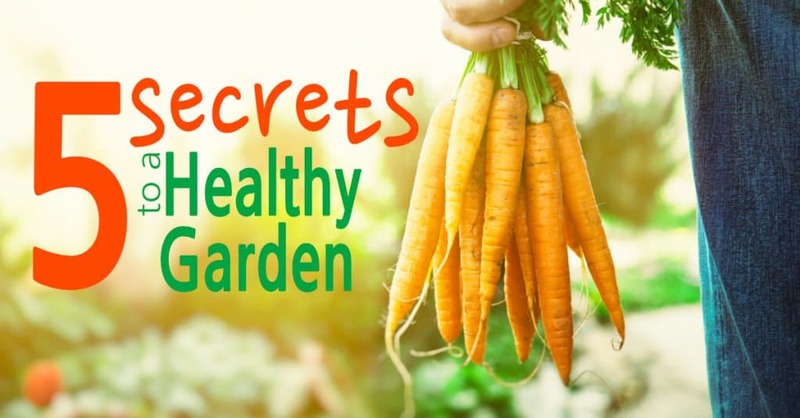 Read more about them in 5 Secrets To A Healthy Garden. I love walking barefoot on the pea gravel. It’s a great way to get a little ‘earthing’ in. I’ll take that over an earthing mat any day! Of course, the beach would be even better but we work with what we have! Mother Earth News will send you emails when it’s time to plant! The Old Farmer’s Almanac is where you will find garden friends and foes. Old World Garden Farms is one of my favorite gardening blogs. If you love to garden, I would suggest subscribing to their site and you will receive super useful emails full of great gardening information just when you need it! 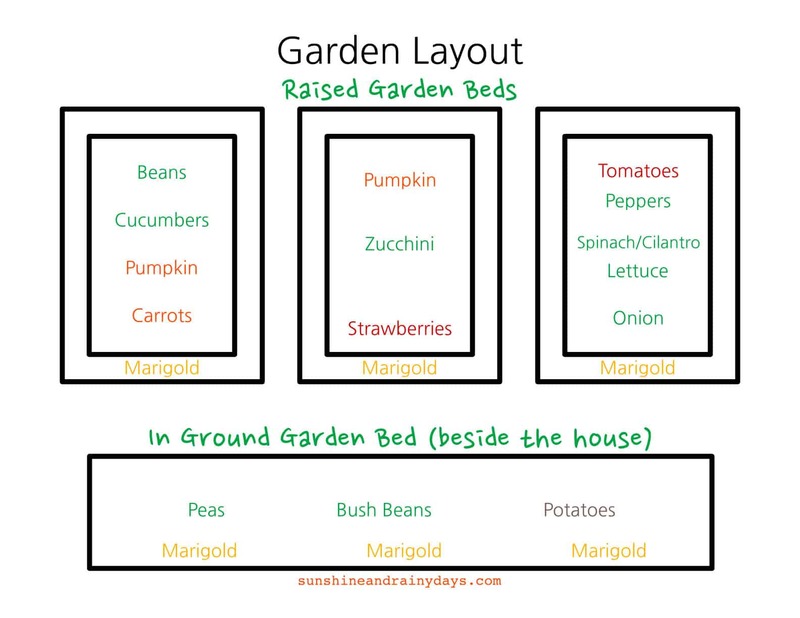 Another helpful blog post is How To Grow A Vegetable Garden by Ruth at Living Well Spending Less. Soil For Raised Beds gives ideas on how to create the best soil for raised beds! Twenty-two cinder blocks, 1/4 yard of topsoil/compost mix and you’re in business! The rest … well, that’s just for fun! 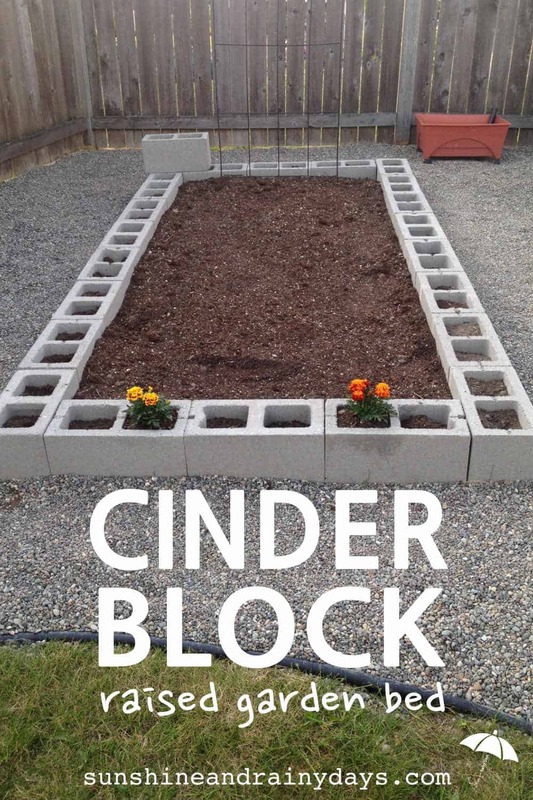 Should You Use Cinder Blocks For Raised Garden Beds? Update: It has been brought to my attention that it may not be in our best interest to use cinder blocks for our garden beds. There may or may not be heavy metals that will leach into the soil and possibly the plants. There is also a discussion on the use of cinder blocks here. Hi Kay! Raised garden beds are much easier on the back and I suppose they might keep those bunny rabbits out too. One level isn’t keeping a certain Schicon named Teddibear out of our garden. He does stay out of the raised bed with two levels of blocks! Another advantage is gardening without rocks! We also have a garden area on the side of our house (not raised beds) and every year we pick rocks. Don’t get me wrong, I LOVE rocks but they aren’t great in the garden beds. Somehow they just keep coming to the surface! It’s never ending around here! It really all depends on what kind of soil you’re working with! 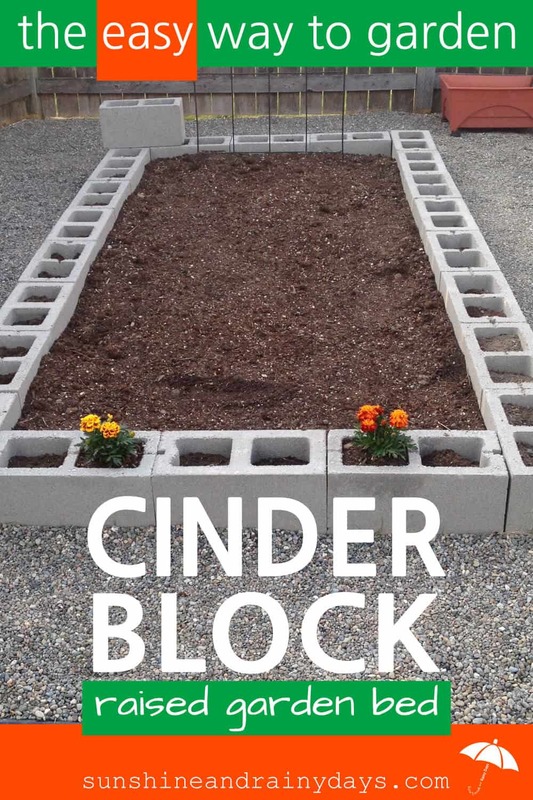 I was reading where cinder blocks are toxic for veggies because of how the cinder blocks are made. What has been your outcomes? Hi Earnie! This has recently come to my attention and I have included links that discusses it further. It does concern me, however, we continue to use our garden beds. I am uncertain how to find out if our veggies are toxic. They seem to grow and taste great! If we were to do it again, we might consider cedar raised garden beds. I have done some research on the whole toxic cinder block thing and all I can really find is that if you use a sealer or a liner you should be fine. I swear “they” who ever “they” are sure make it hard do the right thing!!! I am going to seal mine. Putting it in today!! Thank you for sharing your research! What will you be sealing it with? I agree, it’s hard to know the right thing to do. Enjoy your day and the start of a new garden bed! We will be planting some today! Yay! Don’t fall for the toxicity crap. You’re not in a factory MAKING cinder blocks from raw materials. You’re using set blocks where any chemicals used in the making are so locked into the block that you’ll never have any issues – especially if you put in a barrier. There are a lot of fear-mongering uneducated people online. Do real research. 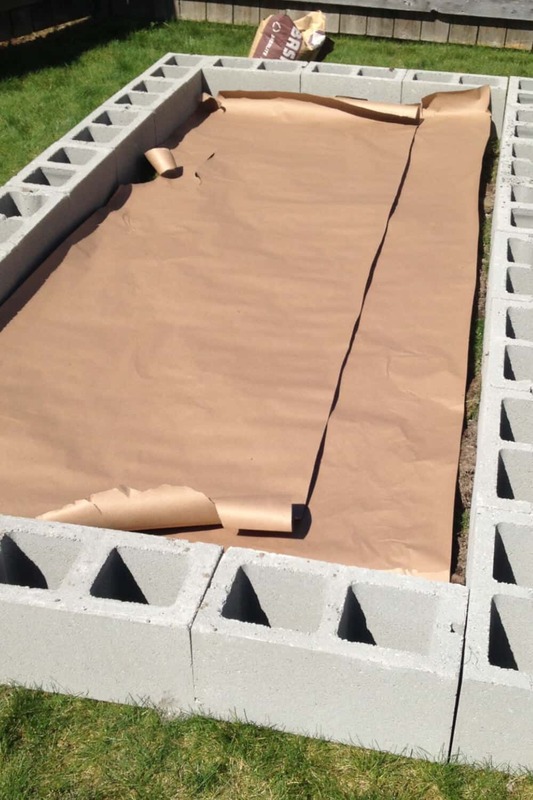 Hi i am getting ready to build cinder block raised beds and was wondering if you used any adhesives when building yours? Hi Aaron! We did not use adhesives when we built our raised beds. We did fill some of the holes with soil for more growing space! The cinder blocks stay in place pretty well unless you run into them with a lawnmower or wheelbarrow. Ask me how I know;0) Have fun building your raised beds! I would love to see a picture over on our Facebook feed! Thanks for the info and the prompt response i will take pics when there complete! I am tring to start a garden to grow our own food to teach my kids how to do so and save a little on my grocery budget. I have never done any gardening in the past. Putting painters paper or cardboard on the bottom your beds allows for enough drainage? Does the paper or cardboard rot or decompose? Those would be my only concerns. Hi Danielle! Painter’s paper and cardboard are excellent for worms and do decompose after time! They stay intact long enough to kill the weeds and grass underneath. Neither have been a drainage problem. It has not been a negative experience for us to use either! I wish you a happy summer of gardening with your kids! I was wondering if one row of blocks makes it deep enough to grow most vegetables…some info I see says that some things like tomatoes, carrots, etc need 16-24″ of soil. Have you had problems? I would like to do just one row of blocks…Thank you! Hi Debbie! We used the deeper bed for carrots but successfully grew tomatoes, lettuce, cilantro, pumpkins, etc. in the beds that were just one block deep! Happy gardening! Great information! I am picking up some blocks today to start my project. The garden I will be doing is almost the same size as yours, so it is nice to see what the end result for my beds will look like. Thanks for all the information including the cardboard in the bed. I did not think about that to prevent worms! 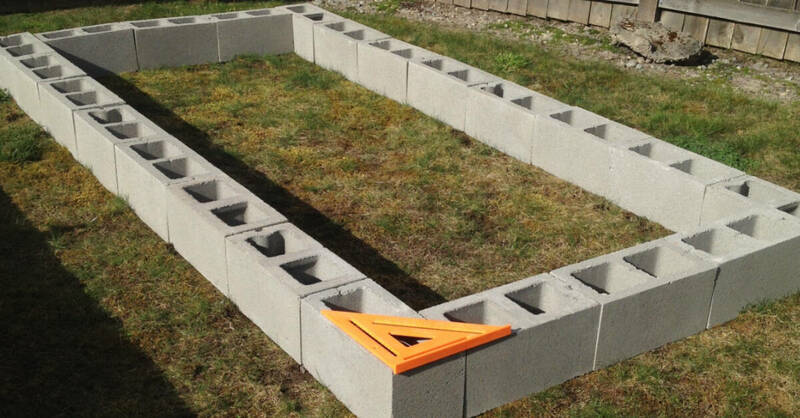 If you don’t mind me asking, what types of veggies can you plant in the cinder block holes? I thought about doing that, but I thought the space might be too small for the roots. Thanks! Hi Brandon! I mostly planted marigolds in the cinder blocks to keep aphids away. They did fine as long as they were properly watered! I also have grown onions in the cinderblock holes but I do feel the cinder block holes were rather hot. 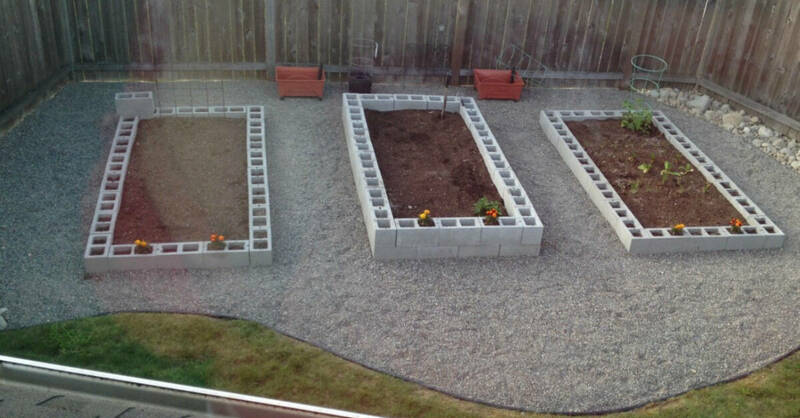 Did you get your cinder block beds done? I’m so happy you enjoyed it! Have fun building! I LOVE it! Candace, it sounds like you have quite the set up! I would love to see pictures. Keep gardening! I tried for hours and hours to get an 8×4 bed level (22 cinder blocks) and it was looking ok until the last of the 4 sides! One side was so much lower then the other. Can you give more jnfo about how to level 8 ft line? Hi Liz! I’m sorry to hear you’re having trouble leveling your garden bed. I have to say, our beds were not perfectly level. We used sand, where necessary, to bring blocks together. If you want level beds, I would suggest using the string method! Place stakes at each corner of your bed and tie string along the top (where the top of your cinder blocks would go) and check to make sure your string is level. Good luck! My husband & I built 5 raised beds with cinder blocks as well. It took time but sooo worth it. We filled the cells with Quik Crete (after filling halfway with dirt). I can easily sit on the edge and work the soil/plant/weed. These beds are very solid and so much better for ours backs. Yay! Cinder Block Raised Garden Beds are the BEST! Thank you for sharing, Sharon!